Canvas's new plagiarism detection framework is the preferred integration option for Canvas clients. However, VeriCite also offers an LTI integration for Canvas, which is still functional. You may install one or both integrations in a single instance of Canvas. Most institutions make the LTI tool available to system administrators so that they can access the admin features and reports via the LTI interface. Click on View App Configurations. 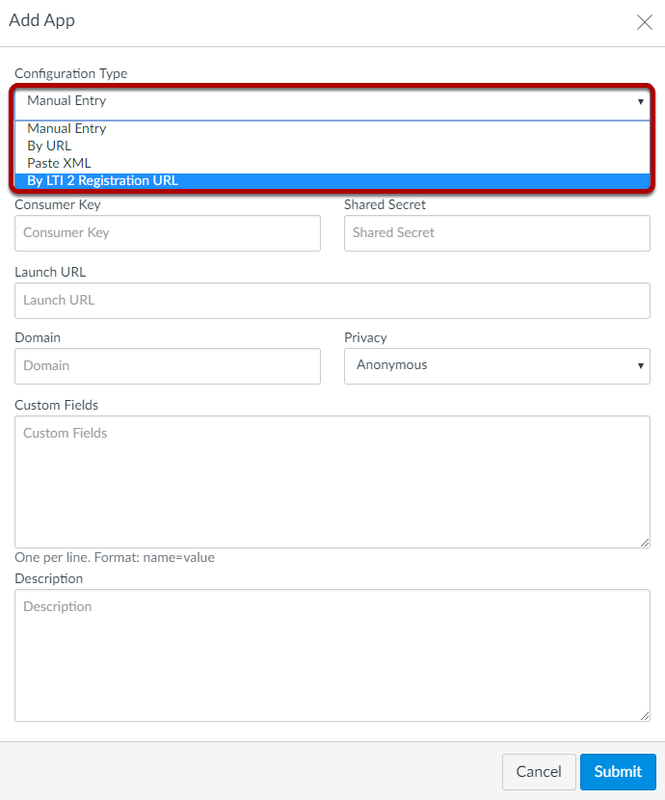 Select By LTI2 Registration URL from the Configuration Type drop-down menu. Enter the LTI2 registration URL and click Launch Registration Tool. Enter your consumer key and secret and click Register. 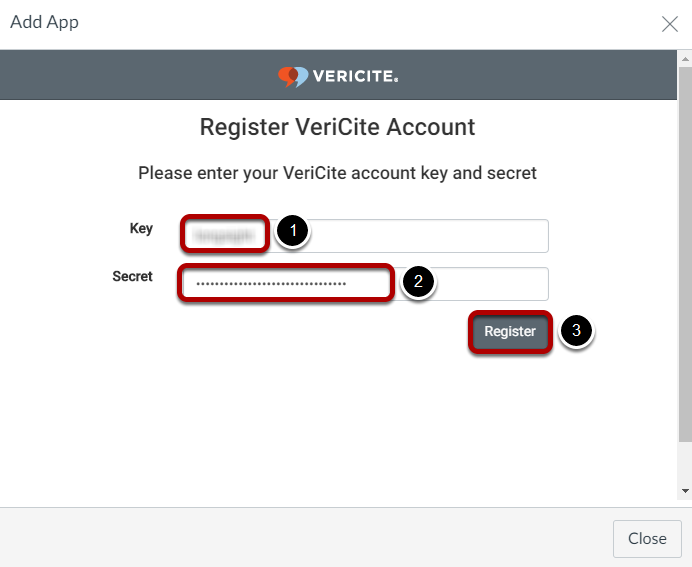 Your consumer key and secret are unique to your institution and will be provided to you by VeriCite when you sign up for a trial and/or purchase a subscription. VeriCite will now appear in the list of installed Apps.